Students at Cedar Point Elementary School took the audience for an out-of-this-world ride with their opening performance of “Chitty Chitty Bang Bang, Jr.” on March 14. With so many talented students sharing one stage, it’s hard to name and congratulate them all. Do not miss your chance to see each and every one of them in “Chitty Chitty Bang Bang, Jr.” at Cedar Point Elementary! Tickets are available at the door for $5. 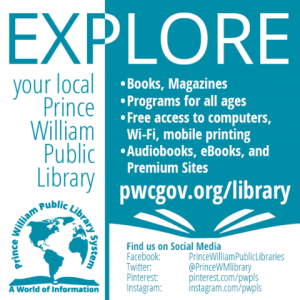 The remaining shows are scheduled for 7:00 p. m. on Friday, March 15, and Saturday, March 16. “Chitty Chitty Bang Bang, Jr.” is being produced by the Cedar Point ES Drama Club. The club, for third- through fifth-graders, is made up of 64 cast members, 12 set designers, and 20 crew members. Students auditioned for the show at the end of September and those in the cast began rehearsing every Wednesday and Thursday after school. The set design class, which also met every Wednesday, began submitting sketches of each scene back in September, and once approved helped build and paint all the set pieces seen on stage. The 20 hard-working crew members joined the team, moving set pieces, and working the spotlights, as well as managing props. During tech week, the students worked on the show daily from March 5–12. Those who attend the show will find student crew members working the concessions and serving as ushers. Cedar Point staff also supports the drama club in numerous ways. Amy LaFleur, the library media assistant, is the director and choreographer; Lee Darter, the art teacher, (with help from her husband) worked with the set design class to design and build the sets; Ryan Davis, the music teacher, worked on the musical numbers; and Parker Solomon, a volunteer, gave countless hours to manage rehearsals and plan the technical aspects of the show. In addition, support is provided by the school’s administration, Principal Mark Marinoble and Assistant Principal Matthew Meyer, as well as front office staff, Angie McCoy, Sheryl Sisk, and Annette Fake. Thanks to the staff’s support and the help of approximately 50 parent volunteers, the students experienced every aspect of putting on a show. 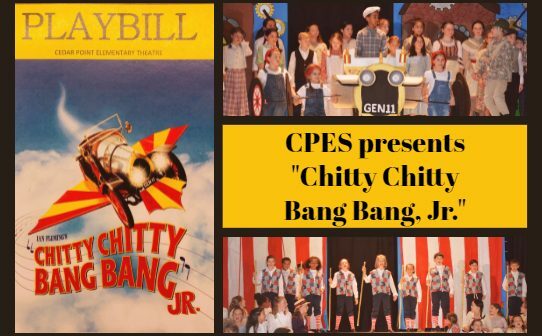 “Chitty Chitty Bang Bang, Jr.” is filled with exciting music and dance numbers, impressive set change with moving pieces, and laughs for the whole family. The story follows a peculiar inventor, Caractacus Potts (Senay Berhe), as he restores an old race car with the help of his children Jeremy (David Jensen) and Jemima (Kiera Battenfield & Lily Buffkin). The Potts family soon discovers that their beat-up, old car may be unattractive, but it also may be magic. When mean Baron (Jackson Wildman) and Baroness (Taylor Salsberg) learn of the race car, they decide that they must have it or its inventor, for themselves. When Bomburst’s henchman Goran (Eli Simpson) and Boris (John Ball) mistakenly kidnap Grandpa Potts (Kyle Prado), Caractacus, Jeremy, and Jemima, with help from Truly Scrumptious (Ellsbeth Schmidt & Allie Waite), work together to outwit the dastardly Baron and Baroness and their villainous aide, the Child Catcher (Mackenzie Aguirre & Alyssa Fleming). The show is rated G (appropriate for all audiences) and runs about an hour long.